The ESS suite of instruments will require state-of-the-art neutron detectors with extended performance to fully utilise the source beam. Through the European-Union funded BrightnESS project, scientists at ESS and its partner institutions aim to realise detectors that can capture and record the high neutron rates delivered by the world’s most powerful neutron source. 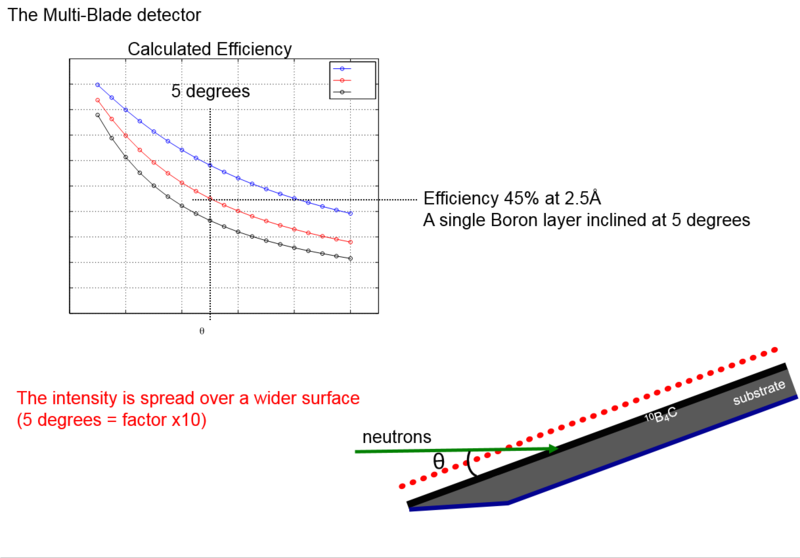 BUDAPEST—Recent tests of a boron-based detector prototype show positive results and encourage continued collaborative development of detectors for ESS. 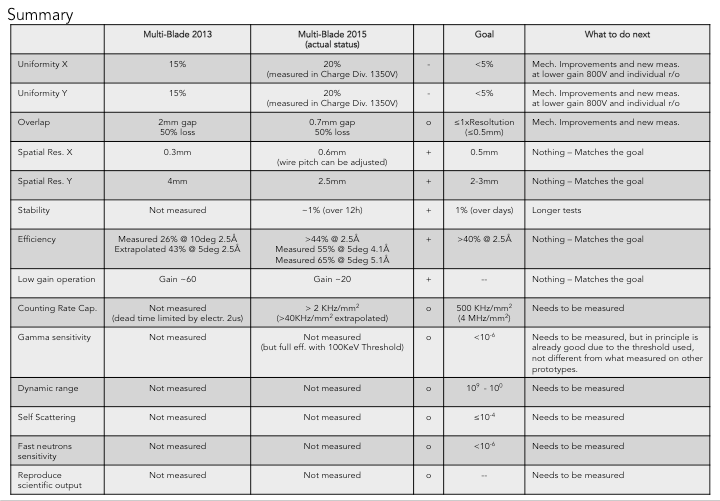 The tests are part of an ongoing ESS investigation to develop a new detector for reflectometry, known as the Multi-Blade detector, to accommodate the two ESS instruments ESTIA and FREIA. 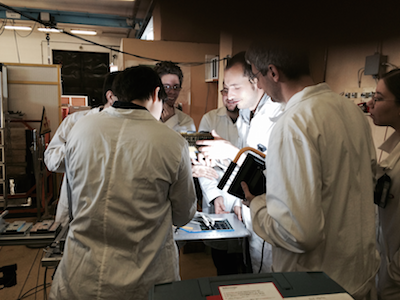 A team from ESS carried out a one-week test using a beamline at the Budapest Neutron Centre (BNC) together with a team from the facility. BNC is operated jointly by Hungary’s Centre for Energy Research and the Wigner Research Centre for Physics. The project is part of Work Package 4.2 of BrightnESS. 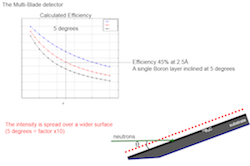 It differs from most neutron detectors studies in the use of boron-10 as the detector’s converter medium rather than the standard helium-3 gas. The design and assembly work for the new demonstrator model of the detector took place in Lund during the winter of 2015. In March, the tests were run in Hungary using the triple axis spectrometer ATHOS. Specialists from ESS, Wigner, and BNC all collaborated in the process. The team from BNC/Wigner was also involved in the initial testing of the Multi-Blade detector at Lund University in January 2016. They found the cooperation throughout the project to be mutually beneficial. “We were pleased to learn about the Multi-Blade technology in detail through the testing. Since both ESS and Wigner are familiar with testing of neutron detectors, we easily found common language and a congenial atmosphere,” says János Orbán, Scientific Worker at the Department of Neutron Spectroscopy at Wigner. The tests on the beamline were based on a number of characterisations, including measurements of the efficiency of a detector whose blades are tilted at a five-degree angle. The first Multi-Blade detector prototype, tested by the Institut Laue–Langevin (ILL) in 2013, had a ten-degree tilt and delivered approximately 26% efficiency. The results of the new prototype at BNC produced an efficiency of about 45% and thereby reached the pre-defined goal of 40% above 2.5 Ångström. The tests also showed that the five-degree tilt of the detector increases the available surface area with which a traveling neutron can interact. This contributes to the improvement in counting rate capability of the demonstrator. 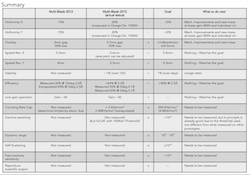 The maximum recorded counting rate of the beam was 2 kHz per mm2 without the occurrence of saturation. When the test team exposed the detector to this rate no saturation was observed, meaning that the performance of the detector did not suffer. This test provided the lower limit but not the saturation point. “A different test was performed with other conditions in order to get an estimation of the capability of the Multi-Blade at higher rates. This test gave us an indication of when the saturation will happen. 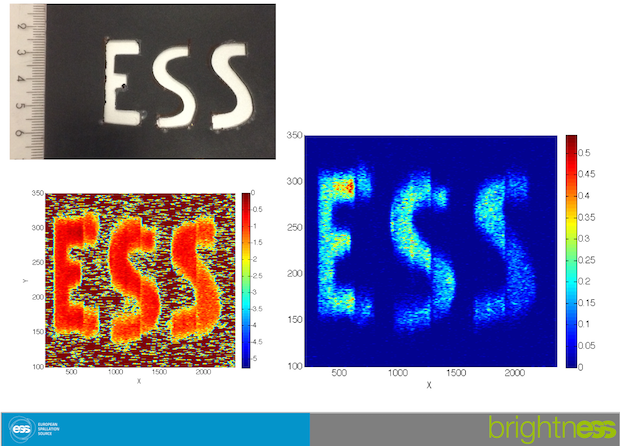 We assume that with a beam of higher intensity, the detector could go up at least to 40 kHz per mm2 without any saturation, which shows promising results for future beamline tests,” says Piscitelli. The high count rate achieved is based on the use of boron. Boron-10 is a solid and therefore allows for flexibility that cannot be attained with helium-3. The majority of the results advanced the project’s pre-defined goals. In some test areas no other measurements will be necessary, even after mechanical improvements to the design and the electrical components are made. Piscitelli and the team are planning to build a new prototype in order to conduct measurements beyond the scope of the March test. The effort is part of a step-by-step, investigative process to solve issues through further technical optimisations. Beyond the benefits to the ESS project as a whole, conducting continuous tests such as these is a vital part of neutron science research. “One of the main merits of BrightnESS is to bring particle physicist colleagues closer to the ESS objectives,” says Dezső Varga, a physicist at Wigner. "In neutron physics, a particle physicist's experimental intuition is often put to the test. A sheet of paper can scatter more than an aluminum plate, and beam optics can deal with slow, neutral particles. Practical experience is therefore invaluable."